S M Sehgal Foundation was set up in 1999, with a mission to strengthen community-led development initiatives to achieve positive social, economic and environmental changes across rural India. 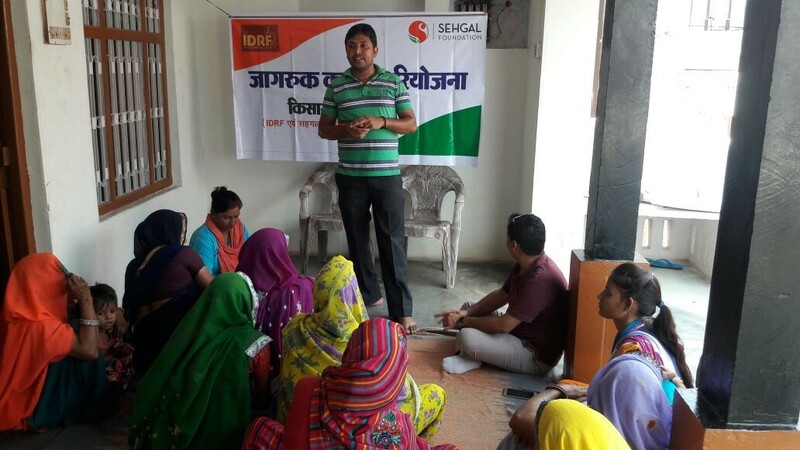 IDRF shares Sehgal Foundation’s commitment to promote gender equality and improve the lives of women farmers, who account for 55 to 66% of the total labor force in farming activities and responsible for 60 to 80% of food production. Women are key contributors to rural economic activities and also play a traditional role of looking after the household. Despite playing a key role in the rural economy, the role of women as an agriculturist in the community is often not recognized. 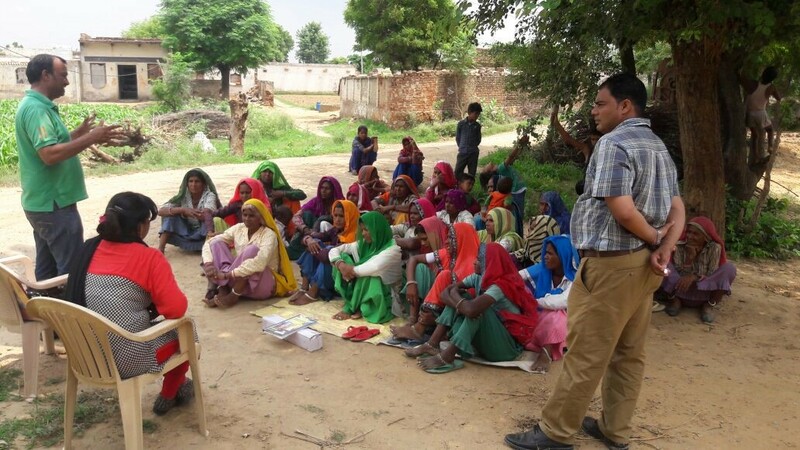 In order to improve the role of women in farm sector, a three year project on agricultural development is being implemented in ten villages of Alwar District. With IDRF’s help, nine training programs were organized in 2017, with the objective of educating farmers on modern agricultural practices for growing vegetable. The focus is by design on vegetables because it is more employment intensive and remunerative than staple food grain farming. Women farmers’ self-help groups were given portable solar-spray machines to provide them with an efficient and convenient tool for protecting their crops. These machines would be rotated among the women farmers to make its maximum utilization during the growing season. This three year project will benefit at least 2,000 plus farmers in the villages that are focused on vegetable farming. Due to an improvement in the information of best practices of cultivation among farmers, there will be an increase in the yield and the marketable quality of vegetables. This will lead to an increase in their household incomes and help recognize women’s role in the rural economy.